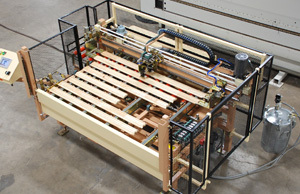 Automated Extrusion Machinery from Creative Automation can be Custom-Built for Hot Melt, PUR, Silicone, Butyl and Mastic – Creative Automation, Inc.
Creative Automation automated processing capabilities include extrusion of materials such as hot melt, PUR, silicone, butyl and mastic. 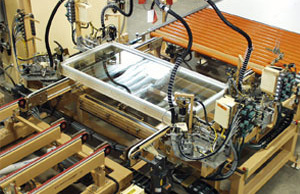 Extrusion Equipment dispensing adhesive onto window components. 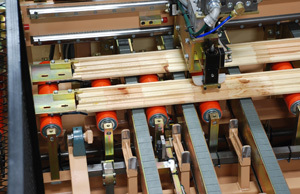 Closeup of the extrusion equipment.